Oh happy Monday. I don't do Mondays very well, so I am going to share with you another card I made over the weekend. Whenever one of my club 10 people is a hostess for the month, they receive a pack of 6 cards as a gift from me for being a club 10 hostess. I used to think "who would want a pack of my cards," but I've had so many comments about the card the club 10 customers get with every order, I thought "hey, I'll be they would like more than one card as my way of saying thanks." So here it is. 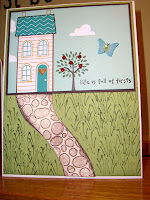 As you can tell, I really love the Welcome to the Neighborhood paper pack and so it's another card from there, but then I embellished it with the cute little walkway in front of the house and a little grass stamp I had on hand. I'm sure it's from an old Stampin Up but I can't remember which one. I then stamped one of the little trees from "Trendy Trees" and embellished it with a few little rain dots, added a cute little butterfly from the embosslits. The weekend is almost over and I wanted to quickly post this card I made over the weekend. I got the Stampin'Up stamp "Thoughts & Prayers" with the big tree that I've wanted since the catalog came out last August. I even have the same tree as a decor' element on my living room wall because I love it so much. Anyway, I was flipping through the Welcome to the Neighborhood paper pad you can earn free until the end of the month and when I saw the paper with the clouds, this idea came to me. One more quick post today. 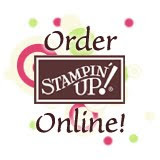 So while I was in the mood for making St. Pat cards, I was looking thru my sticky cuts from Stampin' Up - I think all of us have ordered those at some point and they're sitting in our craft supplies and we forgot all about them. 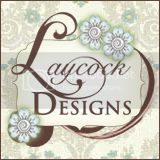 They are #114301 in the current catalog - page 180 - Sticky Cuts Sweet - $8.95. covered the chipboard with a light green/blue/yellow striped background paper, sanded the edges, painted the top section by the clip in a tan, but I may change that to white paint yet, and then I stuck the tree on the cardstock. I did the tree in sections so I could see where the leaves were placed on the sticky cuts sheet. 3 of the leaves I layered twice onto white cardstock to give them some depth. I peeled all of the top layers of the leaves off and sprinkled them with certainly celery fine glitter (#108796 $13.95 p. 180). I then wanted to differentiate between the color of the leaves and the trunk so I sprinkled old olive embossing powder and embossed the trunk. I wasn't sure embossing powder would emboss on sticky tape, but it worked. Finally I used the Go Green Ala Carte stamp from the Occasions Mini (#117074 - p. 43 - $6.95). Enjoy - I've gone on long enough. Now go play! Top Of The Mornin' to all of you. When I was a little girl, my Grandma Ball would c all us when we got home from school to see if we had worn green on St. Patty's day. I don't remember exactly how much my grandma really was Irish, but I do remember that my mom always tried to make St. Patty's Day a festive time and would set a special table for dinner on St. Pat's Day decorated with green napkins and she would color our mashed potatoes green and serve a green vegetable. Funny how those little things meant so much to me that they really stuck with me and I did those same things to my son as he was growing up. So I thought I would share the cards I made this year to ring in the green. And I realized as I was lining them all up to take a picture, that I had made exactly 12 - that must mean something right - maybe I should go buy a Powerball ticket. Anyway, enjoy and hopefully one of them will inspire you to create a card of your own and send it out to someone who loves green. Besides, isn't everyone a little Irish on St. Patty's Day. Make some time for yourself to play today. So I thought I would make a quick post to the card asked about the most. "HOW DID YOU DO THAT?" This card was cased directly out of Papercraft Magazine March/April 2010 page 66. As you can see, I blinged mine out more than they did, but everyone that knows me knows that I couldn't call a card complete without a little bling. Also, by sheer accident I wanted to put some sort of flower on the card because I had this cute "bloom" saying and so I opened up my corduroy buttons from Stampin'Up and put a red button on the card, then I thought maybe it would be prettier with an orange brad, so I put that on there and then, I put the prongs of the brad through the holes of the button and whalla (sp?). I cut a stem and punched a leaf and completed my flower. I love this little addition to the card. 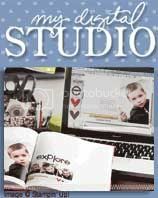 The other products I used is of course Making Memories adhesive glitter cardstock that I love. Unfortunately I heard that MM was not going to be making this anymore :(. I embossed black cardstock and attached that to a white card base. I almost forgot to tell you the most important thing - the way I got the petals. These are simply rectangles (cut from Welcome To The Neighborhood SAB paper pack). They measure 2x1-1/2" and round opposite corners with a corner rounder punch. Who knew! The card base measures 6-1/4 x 4-1/2". Take some time and play this weekend and copy this idea and put your own spin on it. So here's to Traci who we missed at our card meeting last night. I hope you're feeling better. 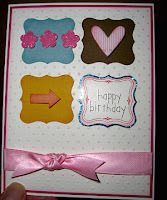 Card #1: We used a "Design Adhesive" sticker/glue border called Butterfly swirls. You rub the design with a bone folder or something hard edged onto the top sheet of the 2 layers and then you very gently peel off the top layer and place that onto the yellow cardstock. It will be sticky, so make sure you don't touch one of the butterflies with your finger. It is also a little larger than your cardstock, but don't worry about that, what doesn't touch the cardstock won't stick. Then take your bone folder and rub the design onto your yellow cardstock. Gently... pull off the piece of paper just leaving the glue of butterflies. Sprinkle glitter onto the butterflies generously. Assemble card. A piece of baby blue satin ribbon is tied around the top and bottom layers and then a thin strip of pink sugar coated cardstock is glued onto the top of that. The "Laugh" and tiny flowers are attached using dimensionals. Card #2: the second card we made was a digital card I created using My Digital Studio and then the students "hybrided" it up. Very quick card. The only thing you had to add was a metal white hodgepodge hardware bracket after inserting 2 small green brads. I put a small round dimensional to hold the brads in place and then attached that to the "digital" hodgepodge hardware. We then wrapped a piece of glorious green grosgrain ribbon and taped the ends to the back, right between the "digital" white and always artichoke ribbon. We took the extra little piece and tied a knot around the green ribbon and this way you can slide it to wherever you want to on your card. Finally we stuck a little glitter foam shamrock down on the right hand lower corner. 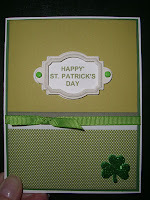 We also layered the digital card onto glorious green cardstock and then onto a whisper white card base. Card #3: The final card we made was taken right from the Sale-A-Bration catalog. I was running into a bind timewise and decided why not create a card that is right in the catalog and put my own spin on it. Which is what being creative is all about - an inspiration jump off point. Traci - all of the elements are in your kit and I think the card is pretty self-explanatory by looking at it. The only little hint would be to let you know that the chipboard heart, little flowers and arrow are all attached with dimensionals. The ribbon is attached the same way we attached it on the St. Pat's card. Wrap a piece around to the back and cut off the excess. Then tie a little bow with the remaining piece - tying it only once. If it slips a little tip is to put a little glue dot where you're going to tie it to hold the bow part in place. Finally we layered the swiss dot top onto a piece of melon mambo cardstock and then onto a white card base.